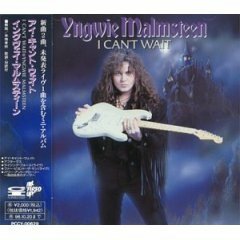 I Can't Wait is a 1994 EP released by Yngwie J. Malmsteen. It contains 3 studio tracks and 2 live tracks from the 1994 Budokan concert. The instrumental "Power and Glory" was made as a theme for Nobuhiko Takada.